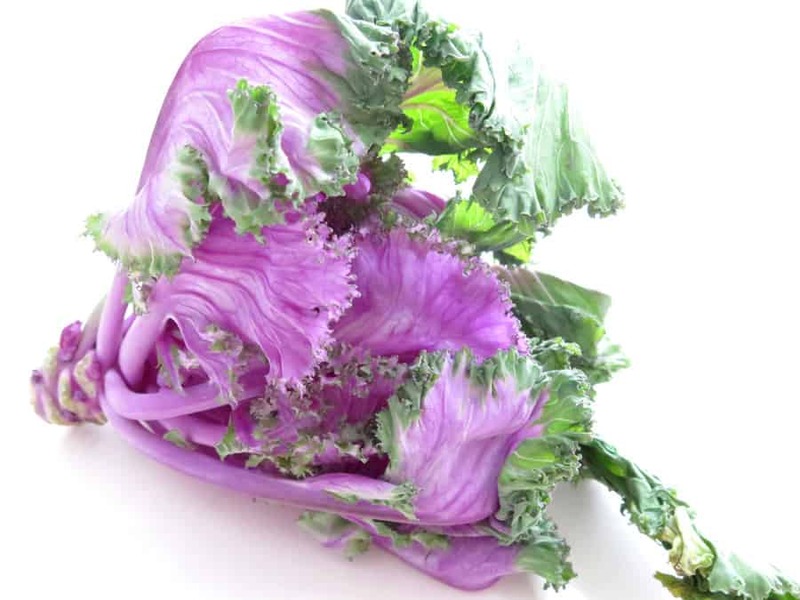 The vivid color and shape of this purple and green savoy cabbage looks alien as if frilly jaws are poised to snap open and seize a meal. This winter cabbage is as delicious to eat as it is to look at aesthetically. Milder and sweeter than red and green cabbage, savoy cabbage makes a great alternative to the heavy, dense bowling balls of cabbage typically used for coleslaw or boiling down with potatoes and corned beef. Try quickly sautéing savoy cabbage for 3-4 minutes (or longer, as desired) in canola oil in a hot skillet. Because savoy cabbage is more tender than its counterparts when cooked, avoid long cook times normally used to render green cabbage into a limp mess. Pair it with savory links of sausage or bratwurst, Burger’s smoky country ham or bacon, or chicken breast cooked in the iron skillet before the cabbage, so the leafy green can absorb flavor-filled pan juices. Or, for a vegetarian dish, combine sautéed cabbage with caramelized onions and crunchy diced apple. Something tart to play against the sweeter cabbage and onions. Drizzle a spoonful of pan juice atop the dish. Add crumbles of tangy goat cheese and a sprinkle of minced rosemary and cracked black pepper. Serve with seasoned rice.